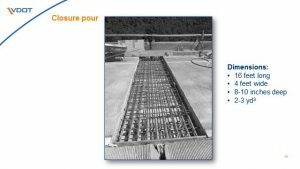 Description: Decks are frequently the first element of a bridge that requires rehabilitation due to chlorides leaking into joints and cracks in concrete decks. Rehabilitation methods that are rapid and long lasting are needed to upgrade deteriorated decks with minimized traffic disruption. The Virginia Department of Transportation and Virginia Transportation Research Council have developed rapid rehabilitation methods using innovative materials to replace deck joints with link slabs and to protect bridge decks with overlays. 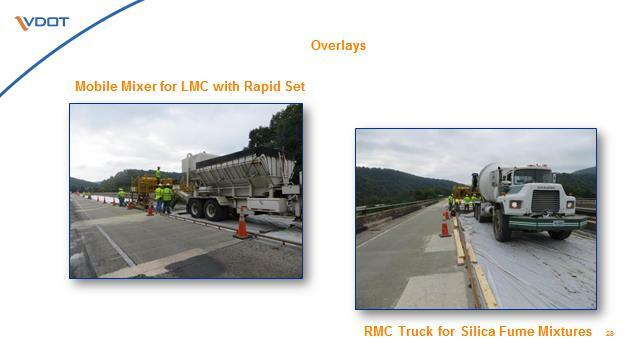 These ABC technologies were implemented in two bridges on I-64 near the City of Covington in Virginia. Included were four concrete types in the link slabs and five concrete types in the overlays. 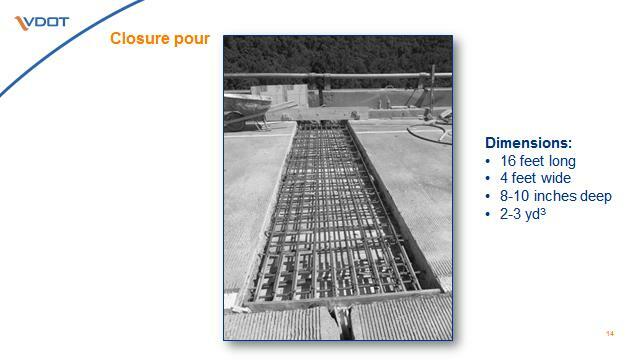 A “Micro Virginia Abutment” was introduced on both bridges to accommodate changes in structural behavior due to the link slabs and complete the jointless bridge solution. The westbound bridge was completed in 2014, and the eastbound bridge in 2015. 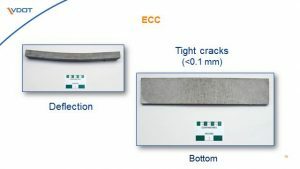 Recent surveys show that the link slabs and overlays are performing well. This presentation includes design and construction details as well as lessons learned.